Ian Bermingham led by example to get St Patrick's Athletic back on track with the only goal of the game at Richmond Park as the Inchicore side had just a little too much for Limerick in this SSE Airtricity League Premier Division clash. Captain Bermingham's winner gave Liam Buckley's side a second victory in five games to see them leapfrog both Limerick and Derry City up into the top half of the table. With three changes from their defeat at Shamrock Rovers last week, and first starts of the season for midfielder James Doona and striker Jake Keegan, St Pat's struggled to settle in a scrappy opening. It was Limerick, with Cian Coleman breaking up play well in the middle of the park, who showed early promise on the counterattack. 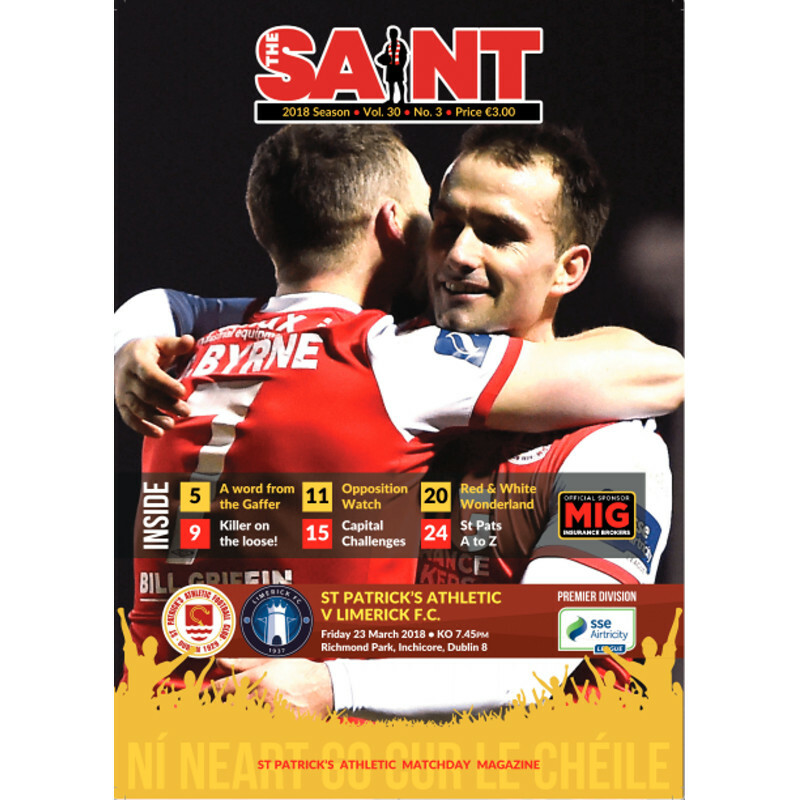 Saints goalkeeper Barry Murphy was the first to see action, dealing ably with a free-kick from former team-mate Billy Dennehy 15 minutes in as the game laboured to find a spark. And though St Pat's enjoyed plenty of the ball, it scarcely got better has the half wore on. Ex-Limerick winger Dean Clarke couldn't get a solid touch with his head to Conan Byrne's cross just past the half hour mark. Byrne then curled a shot over the top a minute later after Ryan Brennan worked an opening. Limerick keeper Brendan Clarke made the only real save of a dour first half two minutes before the break; diving to his right to push away a drive from distance by Doona to deny his former club the lead. St Pat's upped the tempo on the resumption with the industrious Brennan heading over from Bermingham's cross. Bermingham then gave his side a deserved lead on 56 minutes for what proved the winner. Billy Dennehy saw yellow for a foul on Simon Madden. Bermingham met Byrne's free kick with a bullet header to the net for his second goal of the season. With their tails up, Pat's were inches from doubling their lead eight minutes later as the impressive Brennan's stinging drive arrowed just over the top of Clarke's crossbar. Doona was then guilty of a dreadful miss on 74 minutes. Brennan flicked on Keegan's low cross from the right to find Doona at the back. But he somehow managed to balloon the ball high over the top with the goal at his mercy.